"There is an element of risk in places I visit, whether it is from buildings collapsing, encounters with unpleasant strangers or from being caught by walkers, whilst acting bizarrely in front of a camera, in a short dress on a winter’s day!" Drawn to her haunting slow shutter work, we talk to Helena Whitten, photographer, explorer, performance artist. Photos: Helena Whitten. 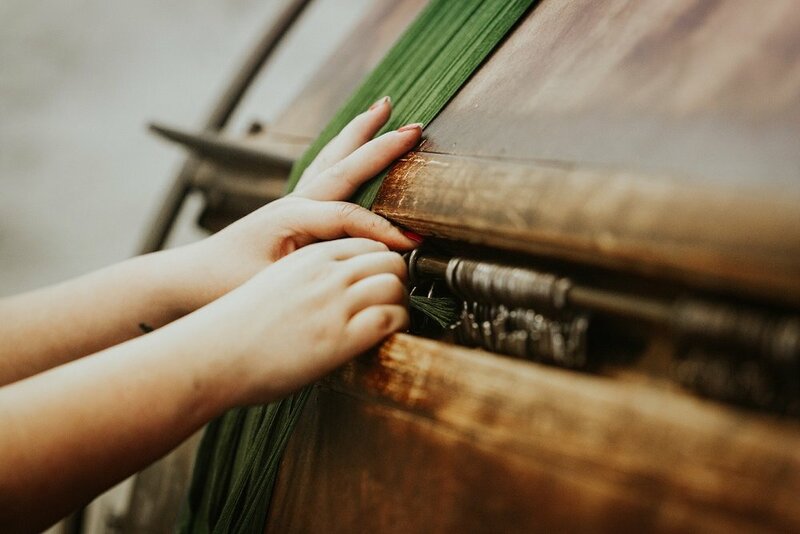 Hidden away in an almost forgotten corner of Castle Cary, Britain’s only surviving weaver of horsehair fabric still uses techniques and looms dating back to 1870. We take a tour with Managing Director, Anna Smith. Photo: Oxana Mazur. For more than thirty years, maverick jewellery designer Tom McEwan has been blazing a trail that’s taken him from Soho to Somerset. Photo: Caroline True. One of our favourite Bristol stores started life as a pop-up in the owners’ sitting room. We talk to Erica Dubuisson about Lowlands and the concept of the occasional shop. Photo: Derryn Vranch.